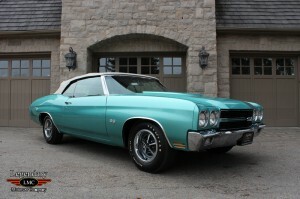 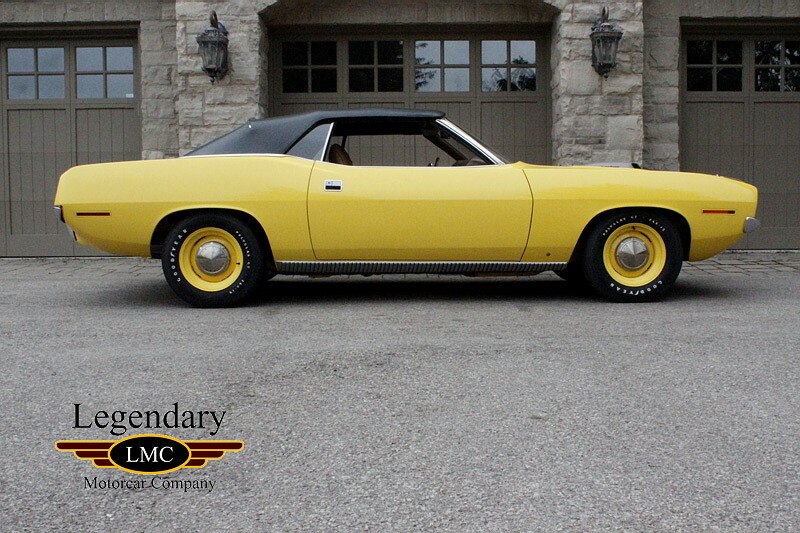 Click any thumbnail below to display the 1970 Plymouth PE Convertible slide show. 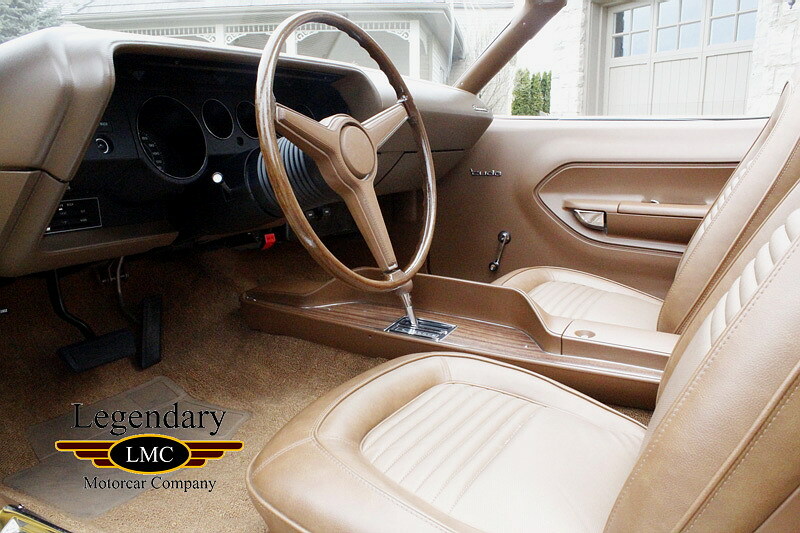 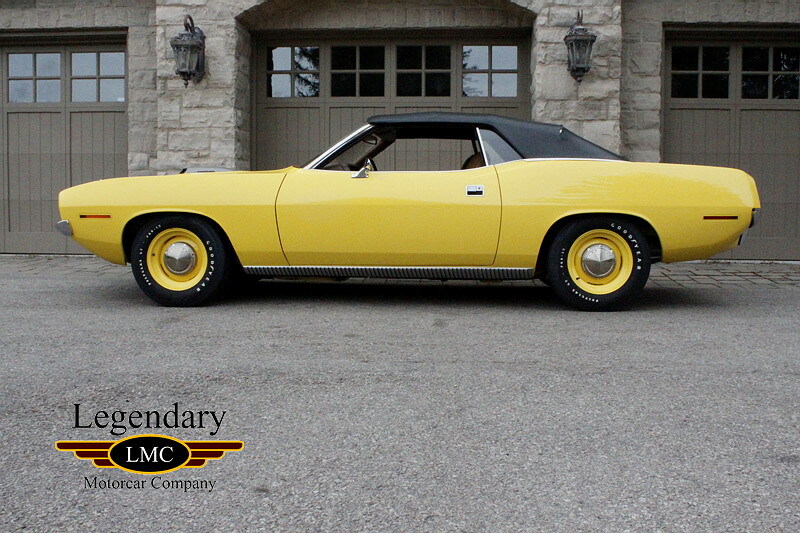 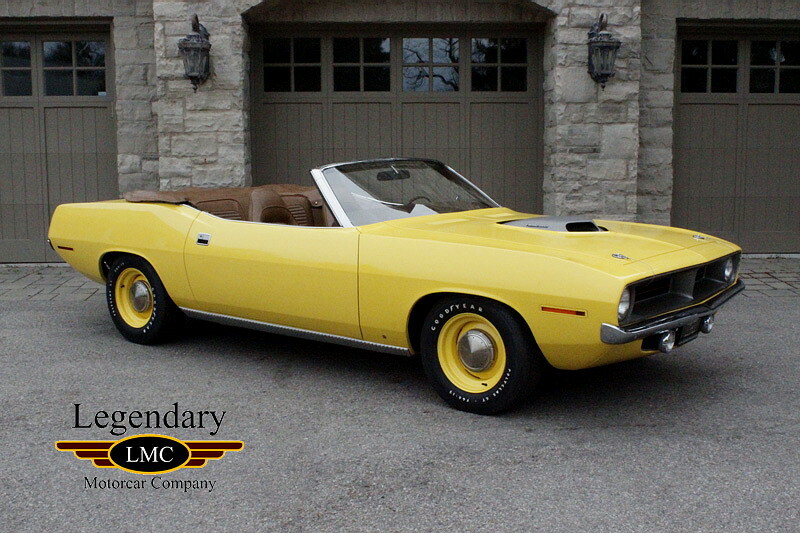 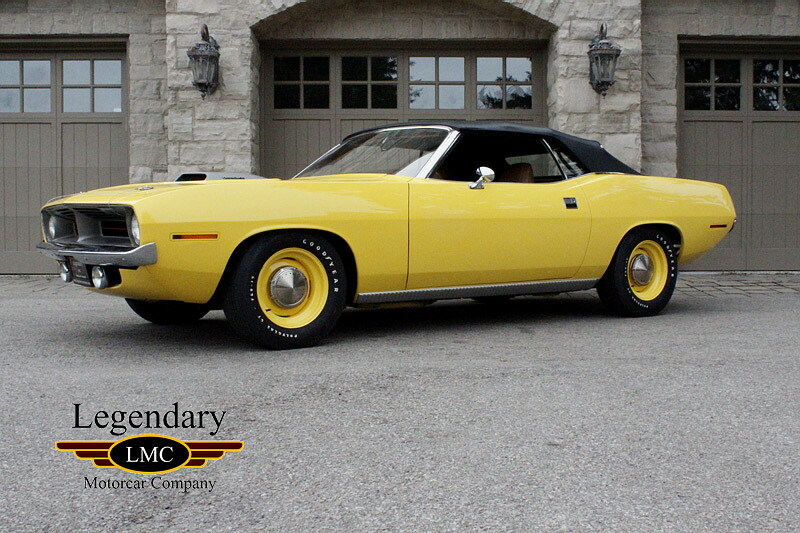 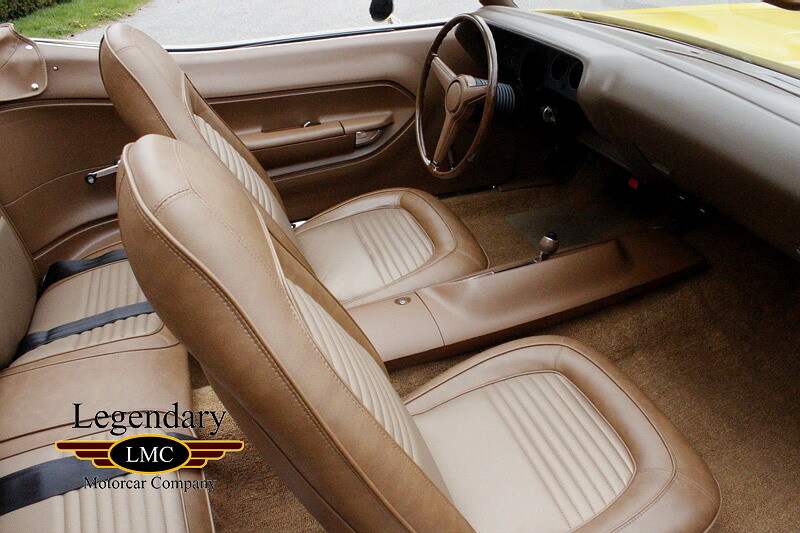 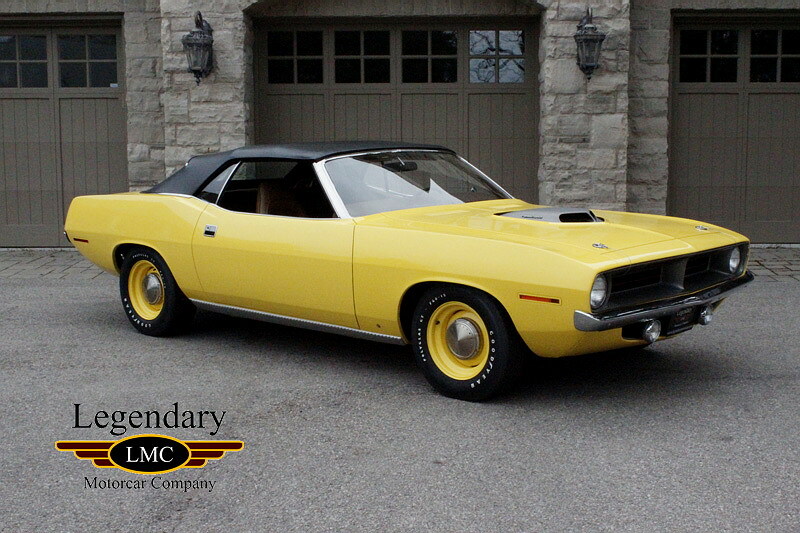 Not just 1 of 14 HEMI Cuda Convertibles built in 1970, this car is one of 9 equipped with an automatic transmission. 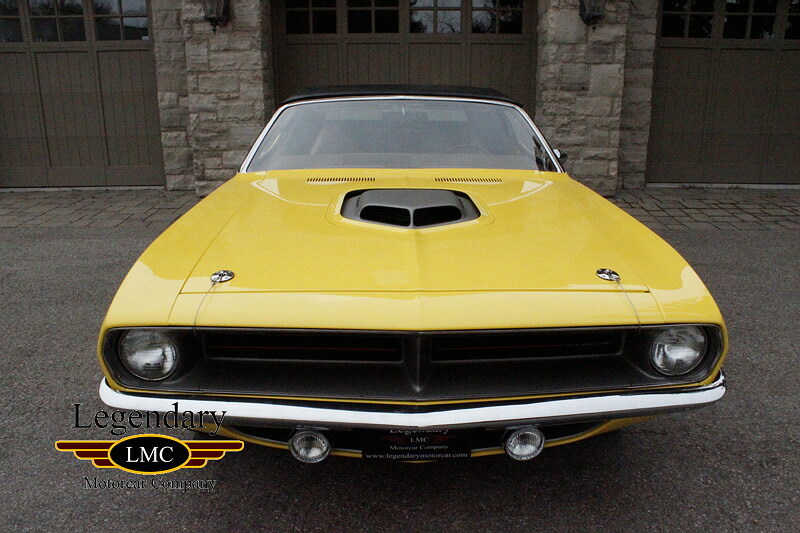 Difficult to fathom that of the thousands of Barracuda's produced in 1970, a mere 9 people chose to buy one like this. 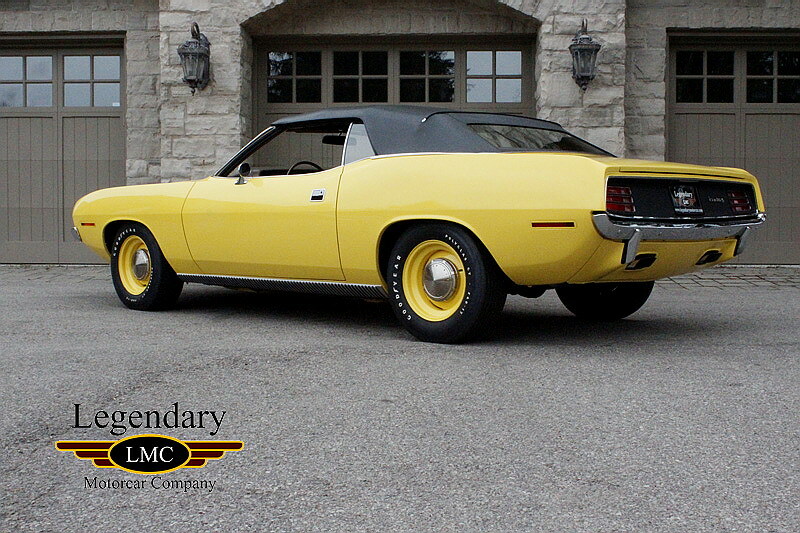 Anyone who has managed to come and visit our facility has undoubtedly seen this car, it has been a staple of the showroom since we opened the doors of our current facility in 2002. 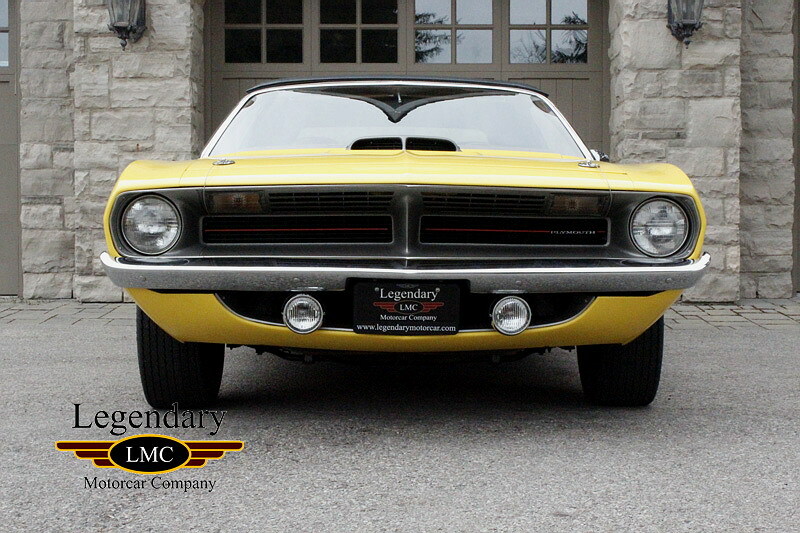 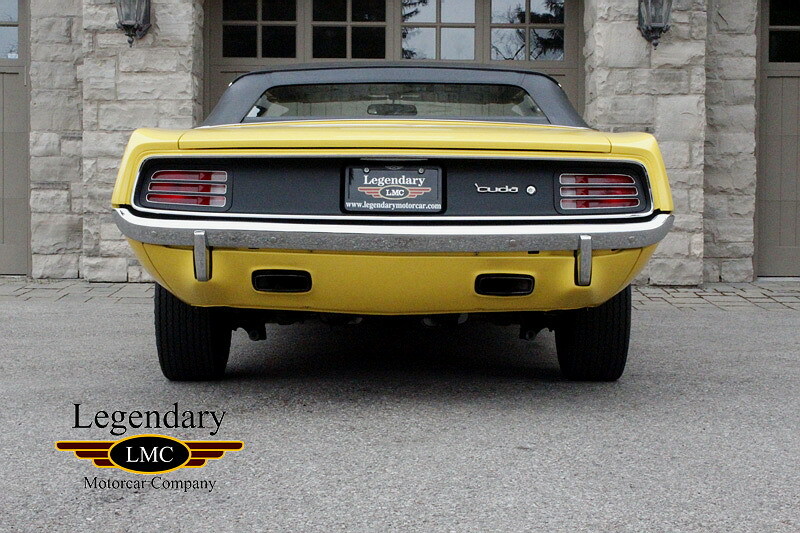 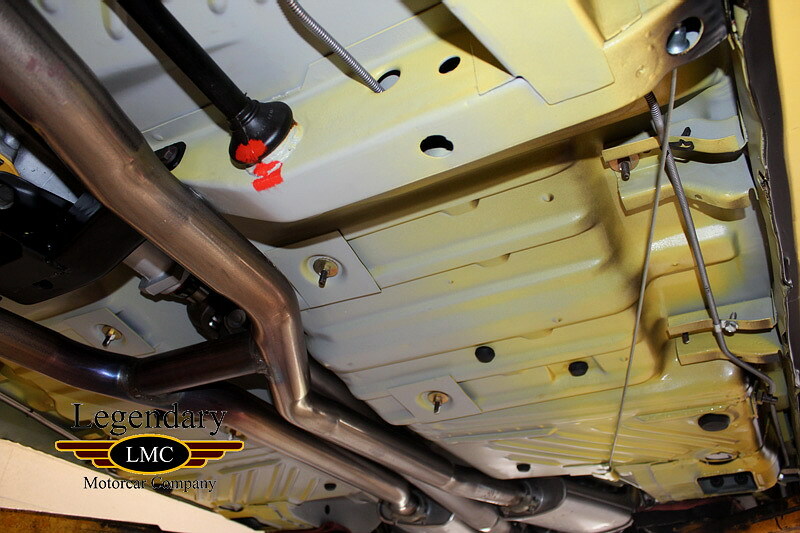 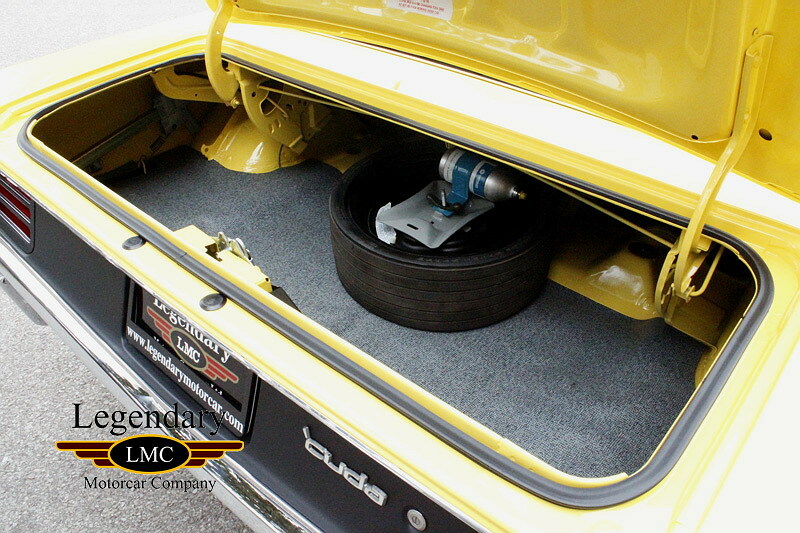 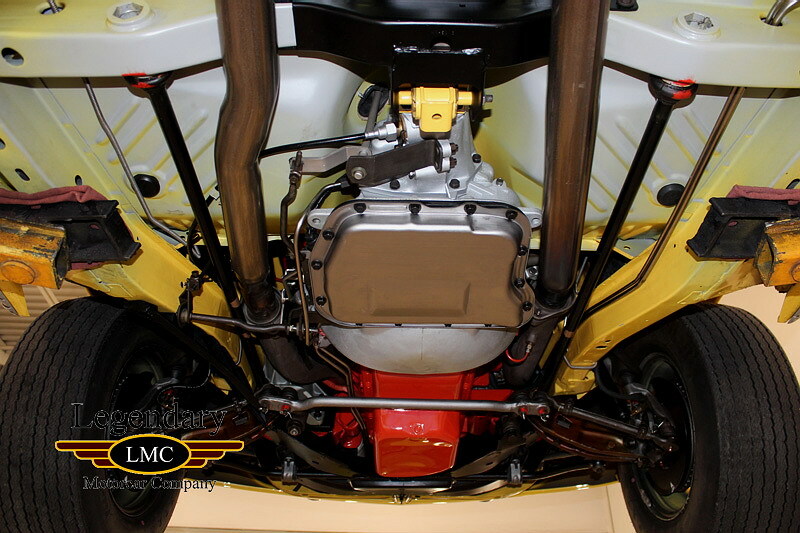 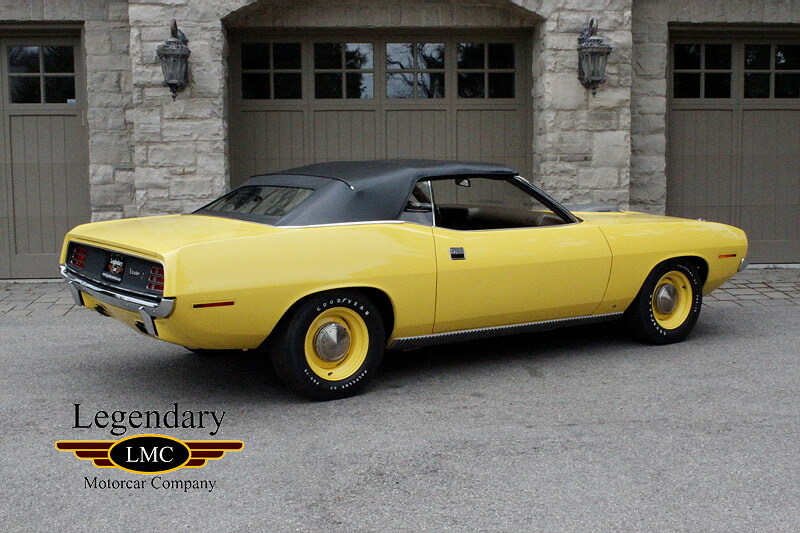 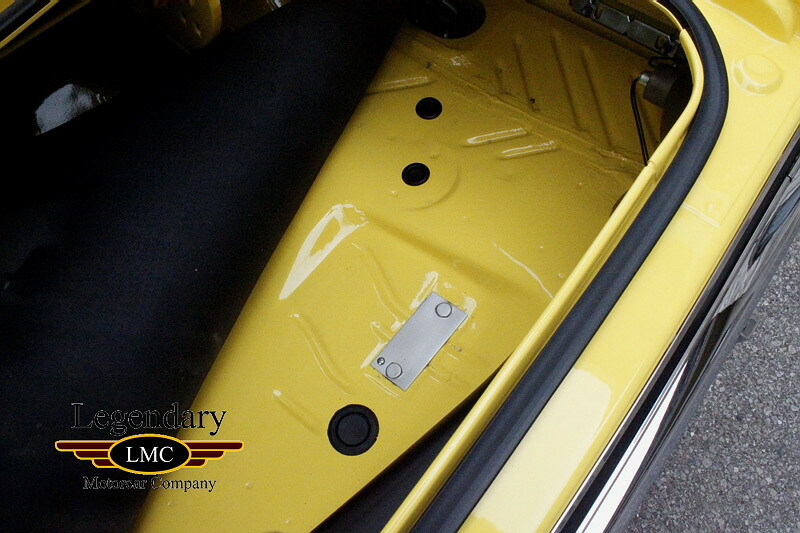 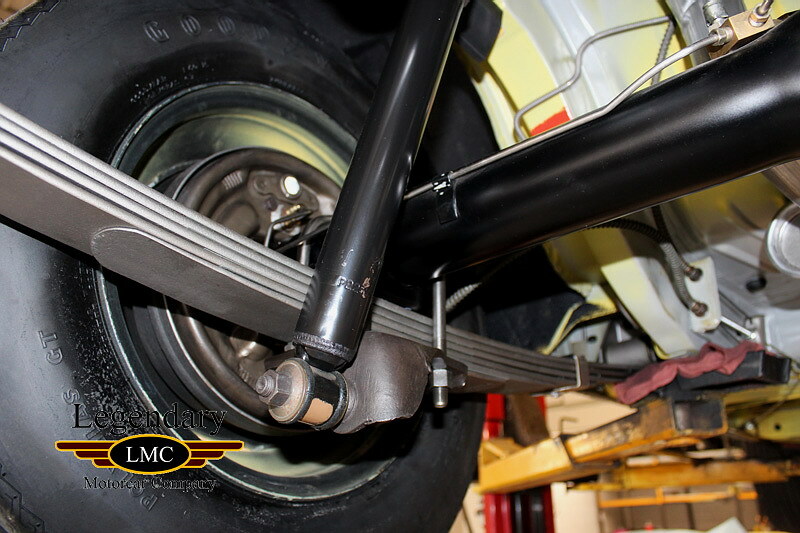 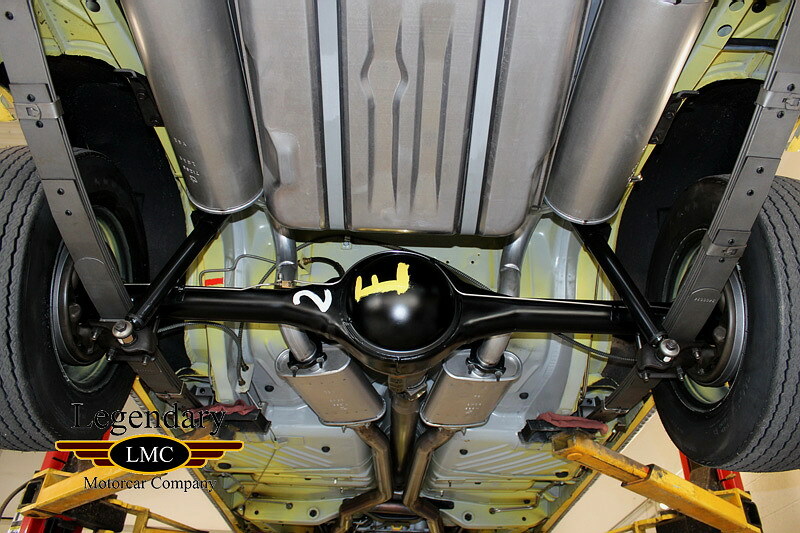 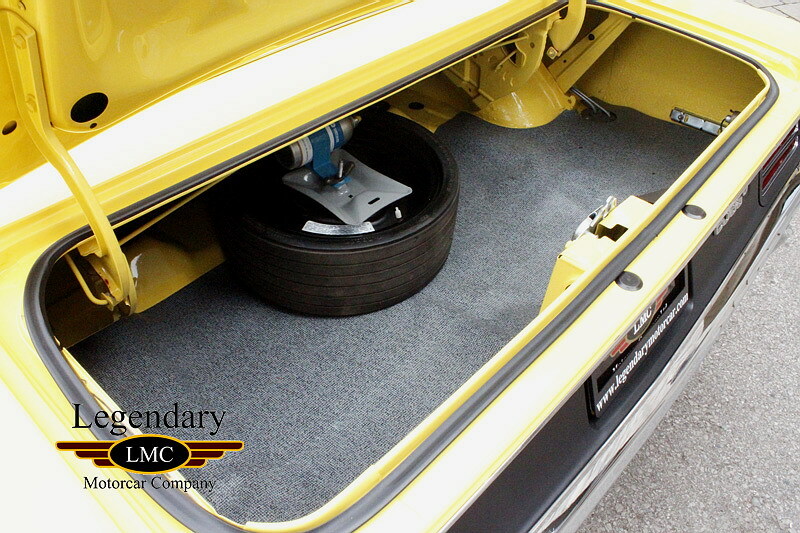 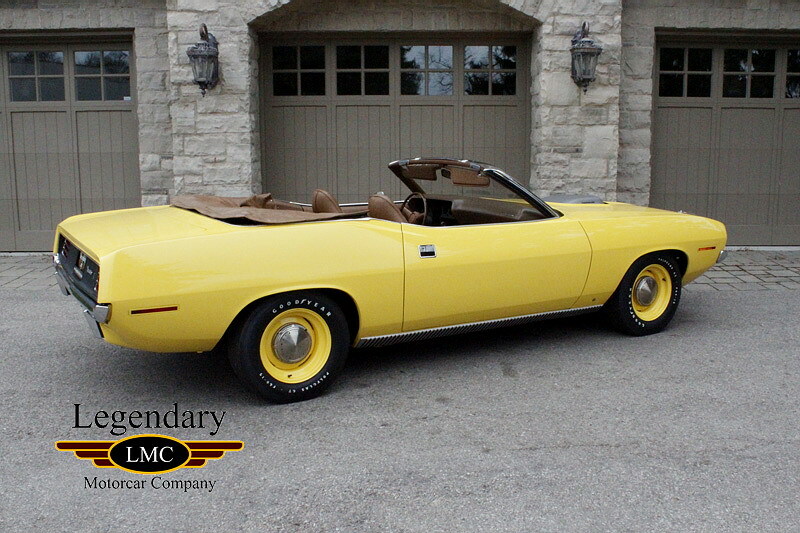 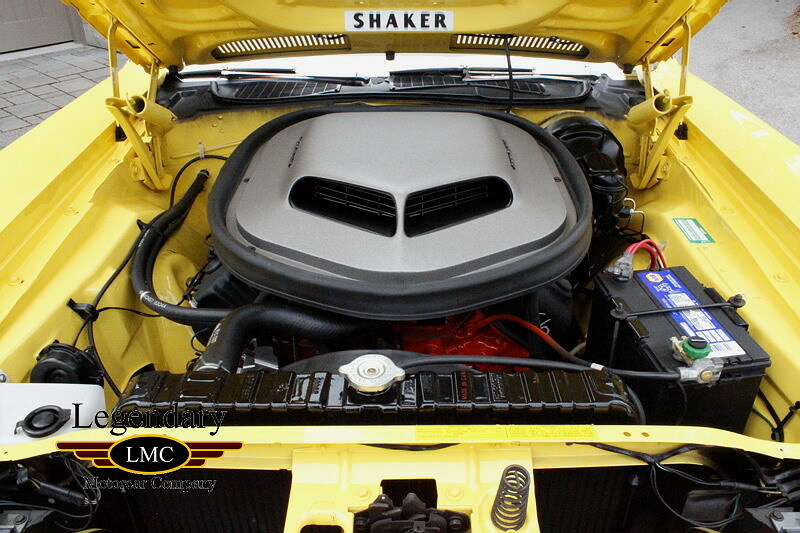 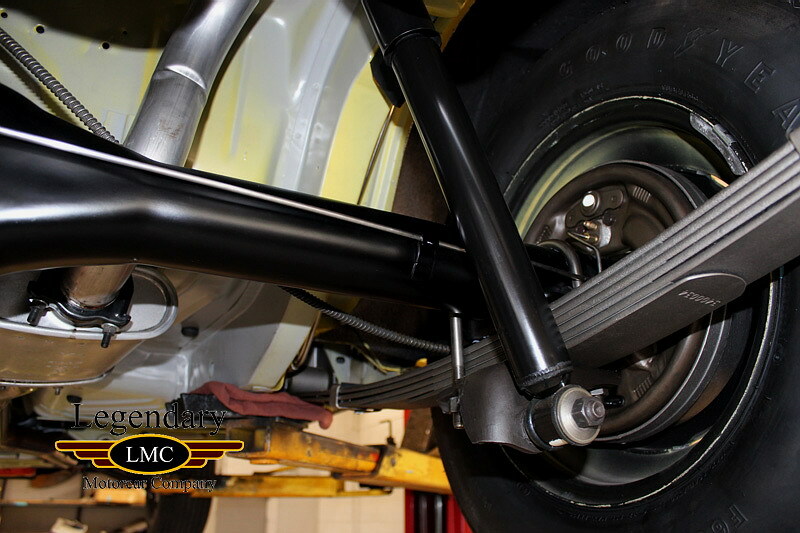 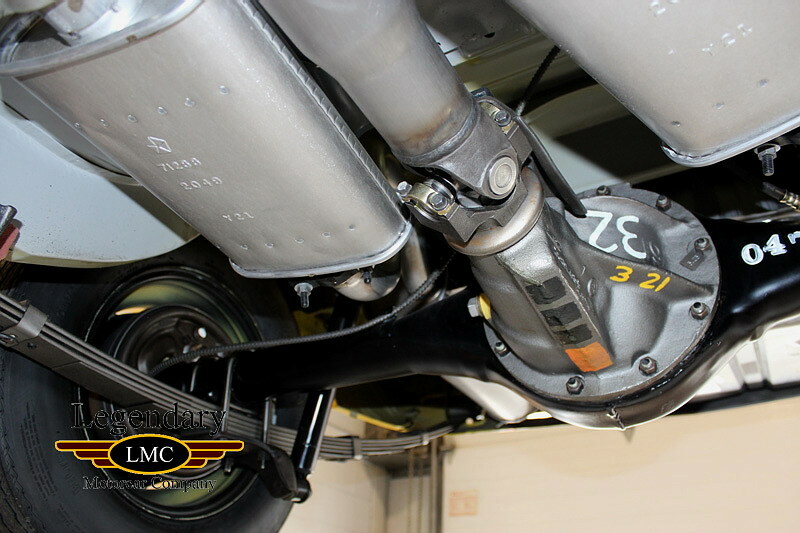 A factory FY1 Lemon Twist 'cuda, this example came to us about 10 years ago for a complete restoration. 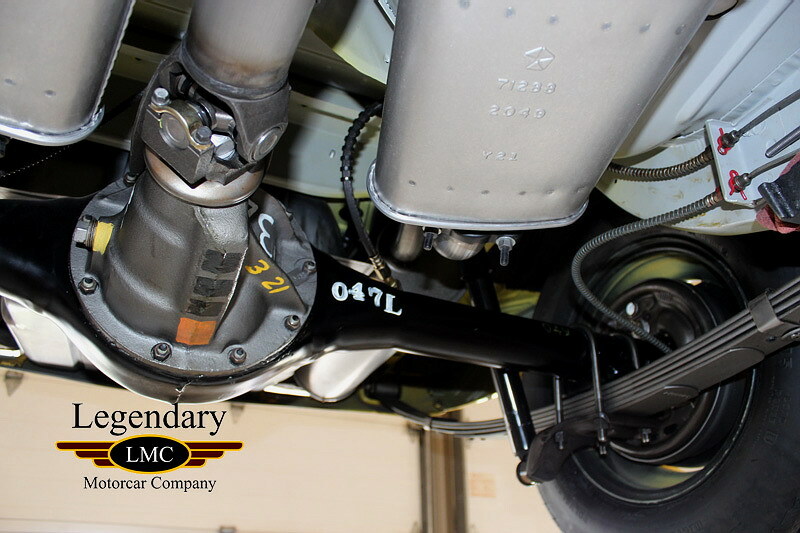 Recognizing it's rarity, it certainly warranted the effort. 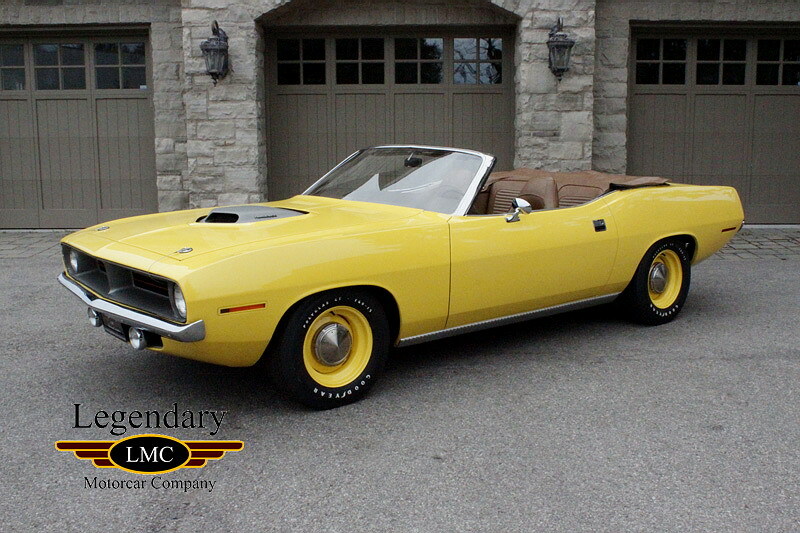 An original Canadian delivery car, it came with an odd array of options, obviously the 426 HEMI engine with automatic transmission, but, also with FY1 yellow paint, tan interior and a black soft top. 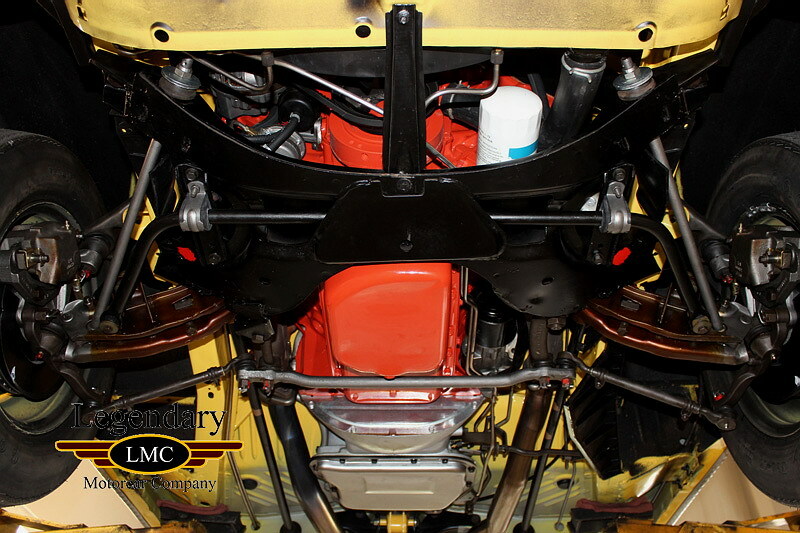 Add to that a Shaker Hood and power brakes, but, no power steering or Dana rear differential axle. 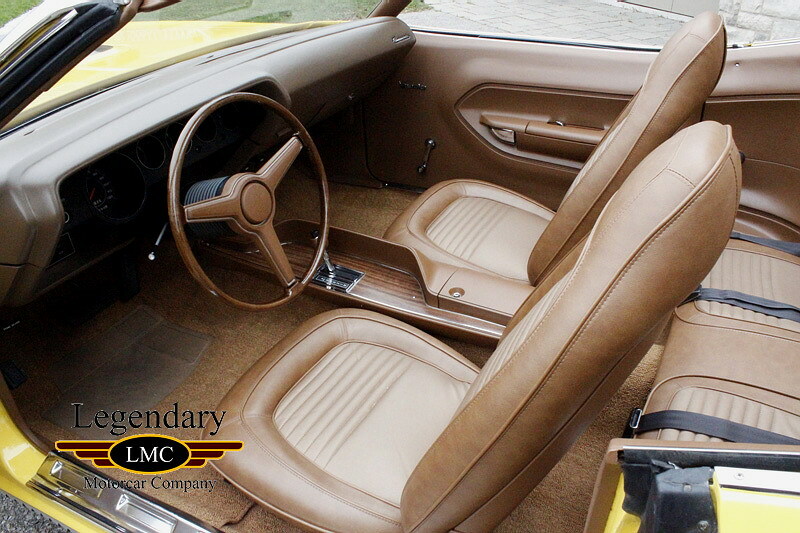 The car is a bit of an anomaly, however, the uniqueness and rarity of these cars is truly what makes them so special. 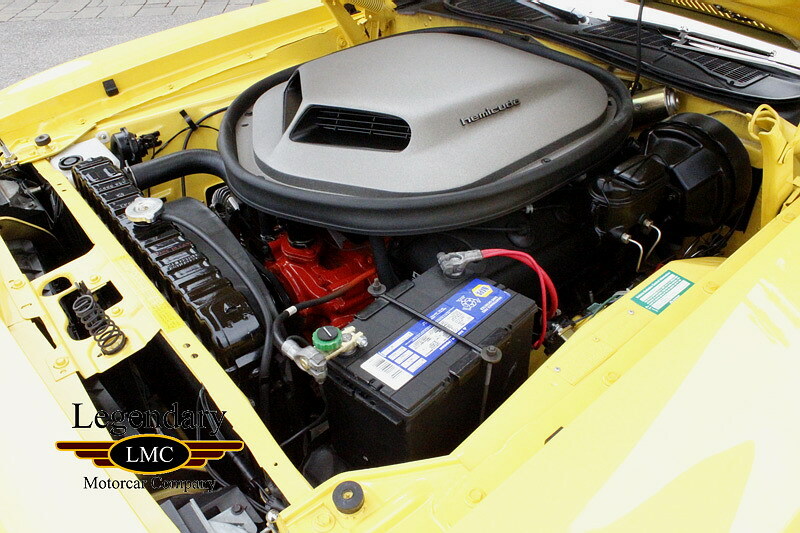 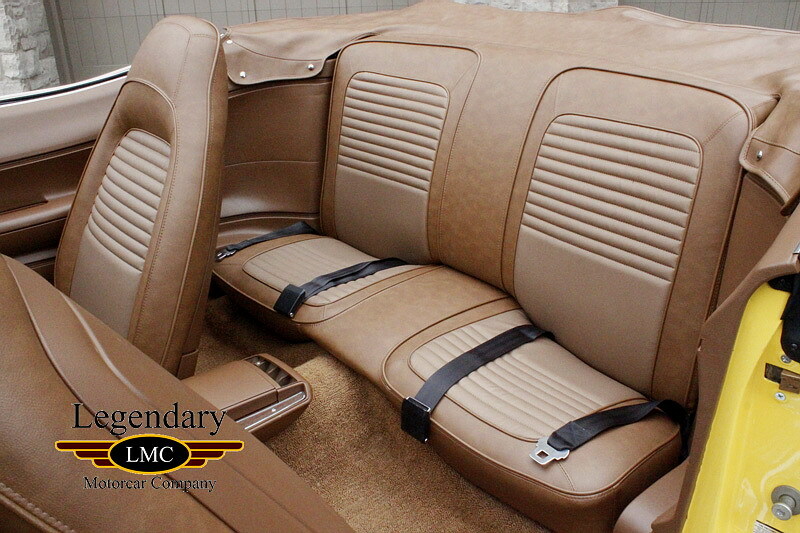 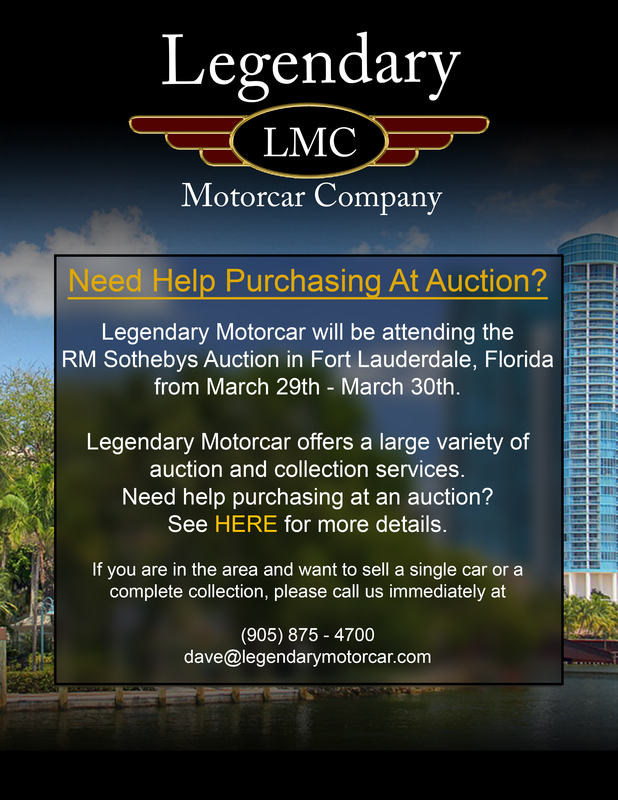 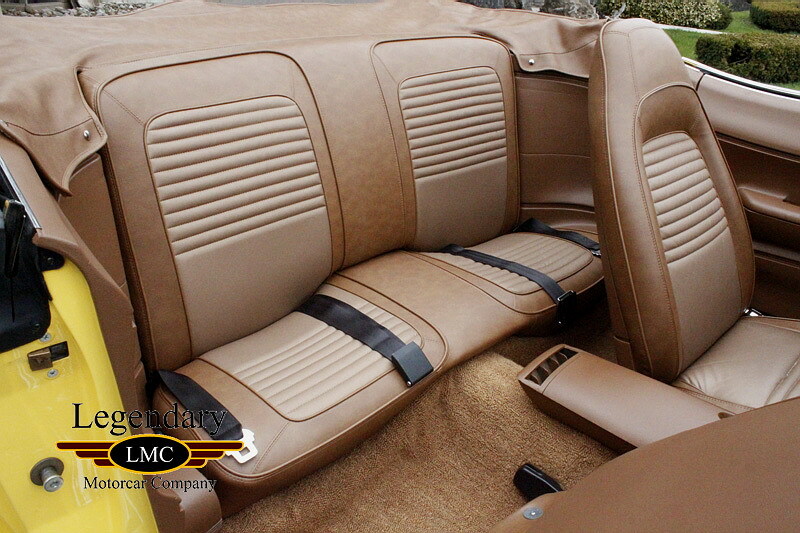 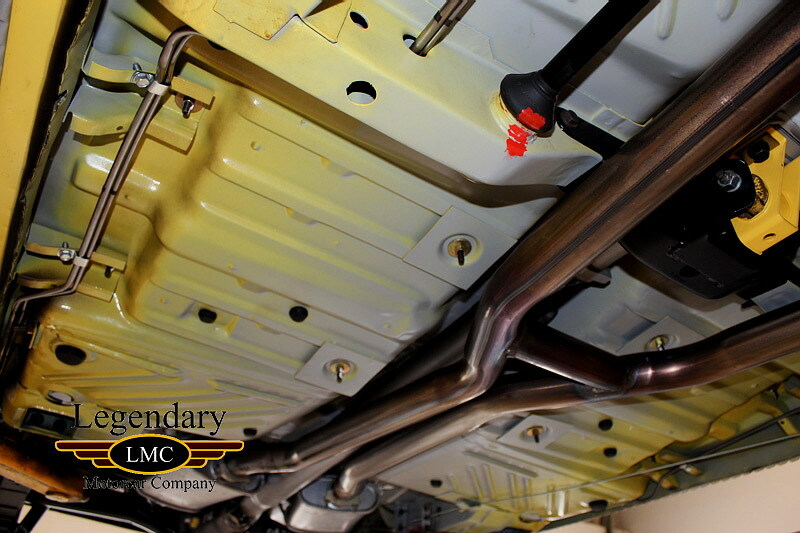 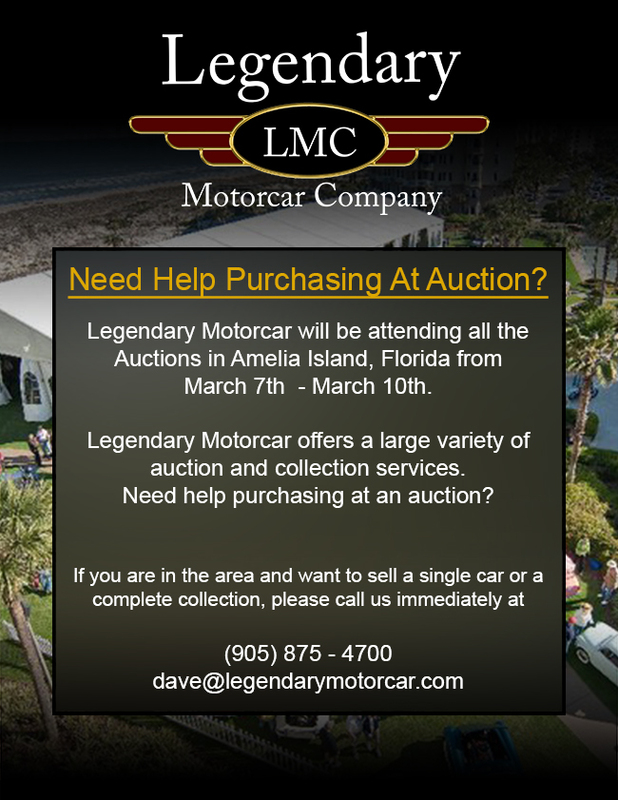 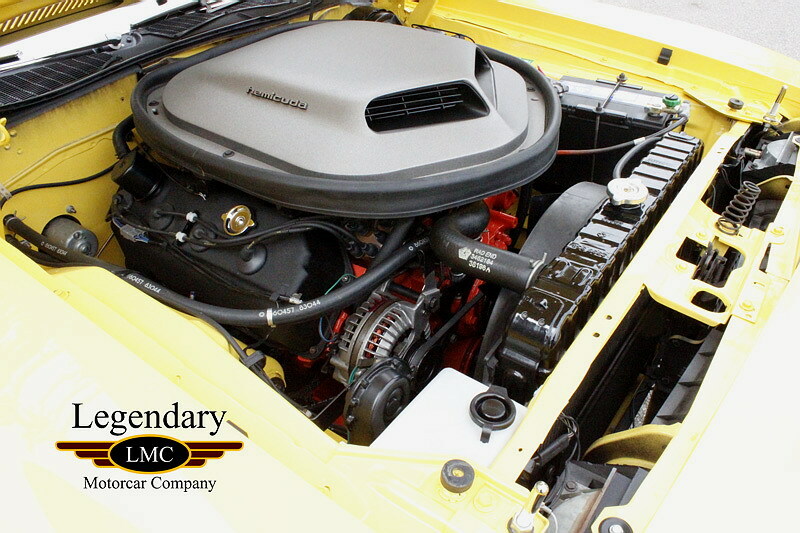 Legendary-Motorcar-Company-Ltd-2013-068 Plymouth 1970 Plymouth PE Convertible 2013-068 0 Legendary Motorcar Company Ltd.